Skipperette's Log: The Travels & Tales of S/V Trillium: Ahhh! The Land of Oz! Ahhh! The Land of Oz! Club with Anita and Glenn. So good to be on land again! We have arrived in Australia! Or Oz as it is known here. Or is it Auss? Or Ahhhs? All I know is that it took me a while to figure out people were talking about Australia when they were referring to Australia in this way. Whatever it is or whatever they call it, we are here now! And we will be based here until September 2016 to avoid cyclone season in the South Pacific Islands. Just like in the USA and Caribbean where boats need to be out of the hurricane belt during the months of June through October. That is, if you want your insurance policy to cover any damages. Most policies will not pay out if you are hit in a named storm if you are not out of the designated latitudes. Down here cyclone (hurricane, if in the northern hemisphere) season is from November through April. Like everything else, we need to “stand on our heads” to figure things out. Everything seems upside down and backwards. The seasons are the opposite; the winds move in opposite directions from the northern hemisphere, etc. And then there is the challenge of meters and liters vs. feet and gallons! Add to that the temperature conversions. I still have not figured out an easy way to convert it. We are now coming into the heat of summer while back in Michigan, winter has set in. Today is going to be another 100+ day. The temperature could go up to 400 Celsius which is something like 1070 Fahrenheit. Someone told me that 280 C is 820 F. So I know that I am not going to like anything higher than 280 C! You may think I am crazy, but I miss those snowy days and a warm fireplace! other cruisers in the Rally and sailing. Since this is a huge country, almost as big as the continental USA, we plan to do some land cruising. Instead of buying a vehicle like we did in little New Zealand, we will probably fly to a region and rent a car for touring the area. Then fly to another area and do the same. The distances here are huge! 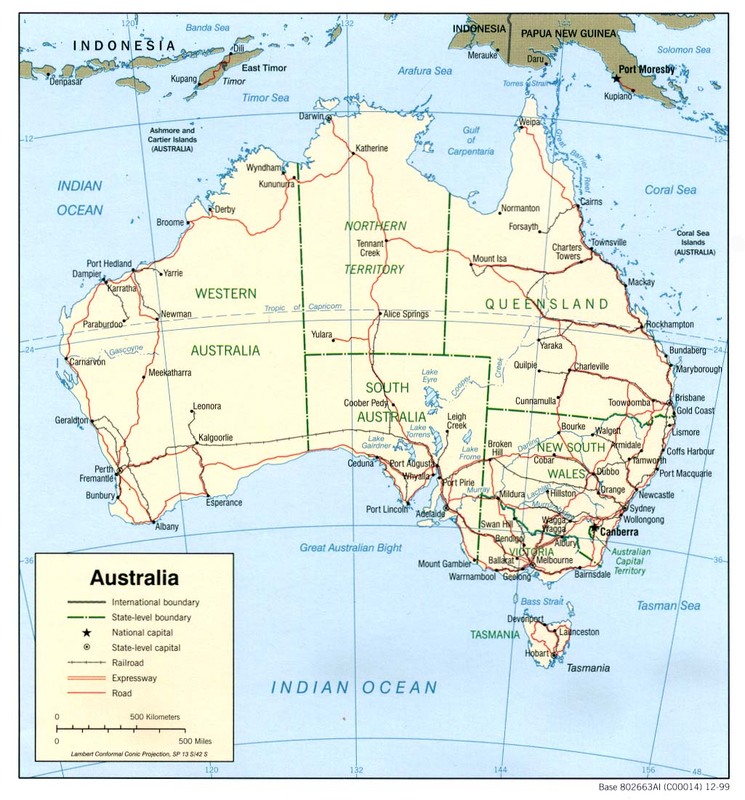 And there is not much between the major areas – except kangaroos and other critters. And the kangaroos are like Michigan deer: they like to hop in front of you and do damage! they have given us complimentary social memberships. How is that for welcoming us to Oz! Look at the name of the racing sailboat across from us! I don't think I want to mess with him rounding a mark! So now we have a very tight travel schedule which makes it challenging to move with the weather. And sailing is weather dependent! We will leave for the first two weeks of February and take a Mekong River cruise to see Vietnam and Cambodia. We will return to Australia for 90 days and then fly to San Francisco for a few days and then to Michigan for six weeks. 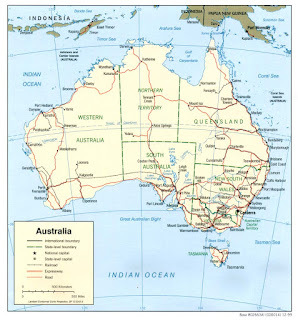 In between, we will see as much of Australia and, hopefully, Tasmania before rejoining the World ARC in late July. Then in September, we sail to Indonesia and on across the Indian Ocean to South Africa where we will spend Christmas next year. So we are working our way back home! 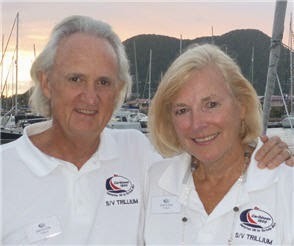 S/V Trillium is in the Caribbean. We have been working our way home to the USA from Grenada since October. We carry a YB Tracker so you can follow our exact tracks below. 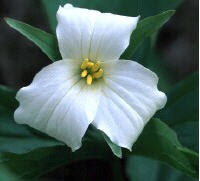 It is a protected Michigan wild flower, a cottage & a yacht! And now it is also an art studio: Trillium Studio! You can find Trillium Studio at www.TrilliumStudio.net and at https://TrilliumStudioArts.Etsy.com. Both sites will be activated once we get back to land! Truly Cruising in New Caledonia! A Whale of a Show! All rights reserved. All images and photgraphs are owned and copyrighted by Sherry G. Day.. Powered by Blogger.